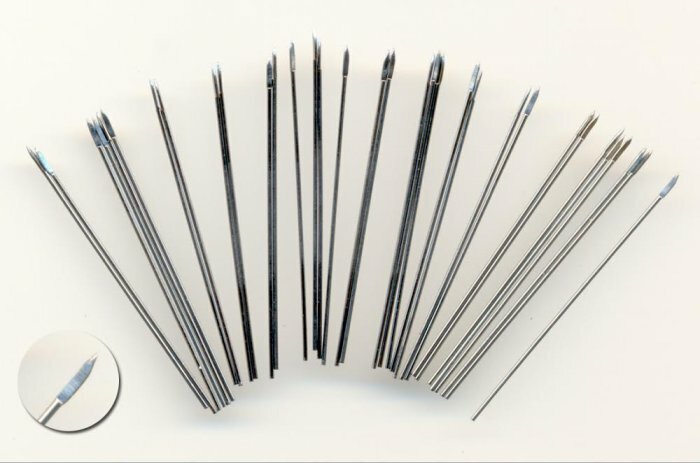 Wire javelins, 50mm long with the ends flattened and shaped into spearheads. These javelins are thinner than the wire spears NSS102. This makes them easy to add to the hand behind the shield as well as the throwing arm. You get about 40 in a pack.